It’s all too apparent to The Spy Guy that Nissan’s luxury division plans on backing up its involvement in Formula One racing by improving the performance profile of at least one of the cars it sells to the public. 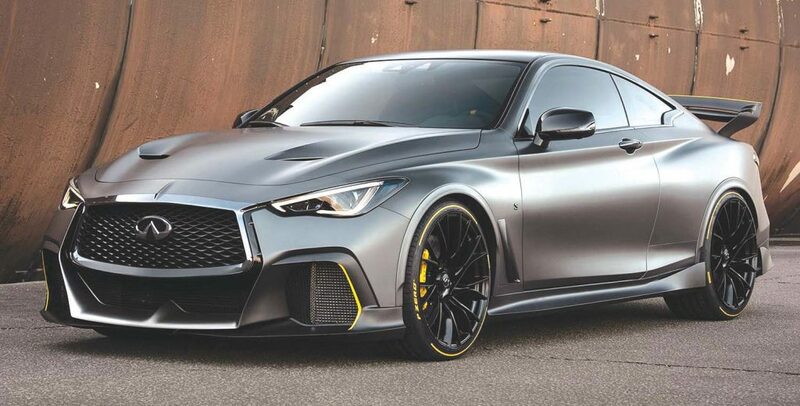 The proof lies in the recently revealed Q60 Project Black S coupe. The ominous-looking all-wheel-drive model uses a twin-turbocharged 400-horsepower V-6 along with a three electric motors to produce a combined 563 horsepower. Infiniti claims the concept car will hit 60 mph from rest in less than four seconds. That’s quick, but not exactly record-breaking when a current Nissan GT-R is in the upper-2s. The F-1-inspired coupe’s body has several aerodynamic tricks, including the rear wing and front air dam. It’s rumored that much of the Project Black S’s content and styling will be optional for the 2020-model-year Q60.